Francesca Rheannon: There may be no better time than now to reread Rachel Carson’s Silent Spring. Originally published in 1962, it sparked the modern environmental movement that led to the clean water and the Clean Air Acts, now endangered like The Endangered Species Act under the Trump Administration and the GOP dominated Congress. Luckily, there’s a new edition of Silent Spring out from Library from America, the first in a series of publications of Carson’s work. The deluxe Illustrated volume is bundled with an unprecedented collection of letters, speeches and other writings that reveal the extraordinary courage and vision of its author. And the introduction is written by another courageous and visionary environmental scientist and writer, Sandra Steingraber. And Steingraber has written powerfully about her own environmentally caused bout with cancer, as well as the dangers we all face from chemical toxins, climate change and fracking. Her books include Raising Elijah and Living Downstream, both of which interweave the personal and the scientific to explore the toll of environmental pollution. I can think of no better representative to bring Rachel Carson’s work again to the public than Sandra Steingraber. Welcome to Writers Voice. FR: This book is a republishing of Silent Spring And Other Writings On The Environment by Rachel Carson. You do a really wonderful introduction of the book and you start that introduction with what Rachel Carson meant to you when you were a child. Tell us about that. SS: I think I might be the youngest person who lives to actually remember when Silent Spring was first published. At least, I have nominated myself for that category. I’m going to be 59 years old this year and Silent Spring came out in 1962 when I was just 3, so I obviously couldn’t even read the title of the book on the cover. But my father, who was a returning veteran of World War Two and a conservative republican and a business teacher at our local high school, actually chose Silent Spring to be his course book for a consumer education class that he taught and he carried it back and forth to school every day. And that was the green book that I recognized that my father always carried and shortly after, my dad actually became an organic gardener. As a veteran, he struggled with what we would now call PTSD and the way he self-medicated was to do gardening and he lay down his spray gun after he read Silent Spring. And very excitingly for my sister and me, boxes began to arrive at our house with holes punched in them because they contained live ladybugs and praying mantises to serve as biological controls for pests. And soon enough my sister and I were selling the surplus tomatoes at the end of our driveway with a big sign that said “organic tomatoes.” That would have been about 1966 or so. Many of our customers asked what organic meant and we explained that and explained who Rachel Carson was. So she’s been part of my life since the very beginning and I like, Rachel, became a biologist and then was convinced that, as exciting as it was doing research, what really needed to happen was to bring the findings of biology, especially environmental science, out of peer-reviewed published literature, which is only read by a few people, and bring it before the general public so that they could understand what risks they were being asked to assume. Carson felt that that kind of popular writing was an essential part of science, communicating it to the public and and I feel the same. So 30 years of feminism has passed between my life and Carson’s and I feel perhaps freer than she did. My own enemies in Industry — she certainly had hers and I have mine — have for example not been as free to impeach my science, based on the fact that I, for example, am a cancer survivor, whereas Carson felt she needed to hide that part of her identity and was very secretive about her health, out of fear that her findings would be critiqued and discredited if it was revealed that she herself had cancer. FR: Well you touched on so many things that I’d like to come back to, but one of them is, you talk about the popular writing, you know chapter 1 of Silent Spring is titled “A Fable For Tomorrow.” It starts with a kind of once-upon-a-time vision of how things once were and how they could be. And I found that so striking — I mean, it really starts on a note of a vision of what we could have. Talk about that. SS: I think this is Carson at her finest in terms of being able to weave a spell with language and keep people turning the pages. You know, by the time the reader hits chapter 2 they’re going to be hit with actual chemical formulas of several different organochlorine pesticides that she needs us to know about, but before she takes us there, she begins with a story. And she’s a masterful narrative writer. And so we’re all spellbound following her along. And as she takes us through this landscape, it’s clear that it’s a crime scene, that some kind of mysterious poison has befallen this place and there are no birds that sing. There are no cats in the barnyard and it just goes on, scene after scene. And, in fact, what the reader doesn’t quite realize yet, is that she’s actually telescoping dozens and dozens of different studies where these exact same phenomenon happened in all these different places, but she’s brought all these findings together and created one narrative scene where they’re all made visible. So it’s very powerful way to open a book, which narrowly speaking, is really about the toxicological properties of 19 different pesticides. But first, she’s going to cast a spell over us. So we want to know why. What caused all this death and destruction to fall over this otherwise beautiful place? FR: Now let’s talk about those pesticides you mentioned. Your father came back from World War Two. They were really invented during World War II as weapons, and in fact you say that Carson talks about pesticide use coming together like a puzzle: she connects the dots. Connect that first dot for for us. SS: Sure, so the pesticides were really invented as weapons of war under the secrecy of wartime and some of them came about because our supply lines were cut to various natural products. For example, we no longer had access to Japanese silk and so, to make parachutes, we needed to invent nylon. Similarly, when a typhus epidemic started ravaging wartime refugees in Italy, as well as our own troops, typhus being a disease that the pathogen is actually carried by lice, then DDT was taken off the shelf and used on a civilian population of refugees as well as our armed service members and it halted the epidemic. And so it went on then to play a hero’s role in the Pacific Theater, again allowing us to halt a malaria epidemic and that gave us an edge in many of the very fierce island to island battles in the Pacific. So suddenly the war was over. We had secretly been working on another chemical weapon of war that was poisonous to plants and we intended it to use it against the Japanese rice crop, but rather than deploy that, we dropped the atom bomb instead and the war ended more quickly than anyone knew, so all of these stock piles of chemicals that our chemical Industries had been turned to make for wartime use, were now available. And there were fears that our economy would slip back into a depression if we didn’t keep the wartime boom going and so promises were made that Madison Avenue advertising executives would be deployed now to help reinvent and rebrand chemical weapons, especially once they were no longer classified, and then they would be sold to housewives to keep flies off the kitchen floor by adding it to house wax. They were sold to the returning GIs like my father who were encouraged to fight the new enemy on the home front, which was bugs and dandelions in the backyard. They were added to babies’ blankets to mothproof them. And somehow the public was convinced through advertising that pesticides, which were these new to most people chemical pesticides, that they were somehow at the same time a lethal assassin against insects and weeds and yet a completely benign helpmate to human beings, safe enough to add to your baby’s blanket. So that was a lot of incredible promotional work. And so Carson at the time was a biologist in the employ of the Fish And Wildlife Service and so she actually had access to classified information and certainly to knowledge about pesticides as soon as they were declassified and knew of the tests that were going on in the field on the impacts of these pesticides on wildlife. And she was really troubled because there were mass die-offs of fish and birds and wildlife and it looked like these poisons concentrated as they moved up the food chain and could just kill off vast numbers of living organisms. And she began to wonder what effect they were having on people and ask the question which is that, when a chemical is invented under the secrecy of wartime for a specific emergency purpose, to bring it into civilian life after the war is over without any advanced testing for safety is really an ethical problem, because it’s people that have to assume the risks to their health that these pesticides bring, especially when residues started showing up in baby food and breast milk and cranberries that were being served for Thanksgiving dinner. She was really alarmed by that and asked what are the long-term health effects, and should we not test first and demonstrate safety before as a precondition for marketing these chemicals? And that was really the impetus and the starting point of Silent Spring. FR: Yes, and that’s something we’ve talked a lot about on this show. It’s called the precautionary principle. It’s actually the principle that the European Union has adopted but we have not: we produce first and test possibly decades later, if at all. SS: That’s right. And in fact, even though the precautionary principle is enshrined as a tool that the European Union uses in making environmental decisions, it’s never been ratified or part of our own chemical regulatory apparatus here on this side of the Atlantic. And I try to draw the science out in my introduction to this new collection from Library of America, pointing out that Carson’s final call at the end of Silent Spring, which was to move away from what she felt was a very primitive and brutal way of controlling pests — just kind of blanket spray the whole landscape — that really there were much more sophisticated and more effective ways of controlling pests which involved looking through the ecological world and looking for biological solutions. That didn’t really happen, you know, she was dying of breast cancer as she was writing the last half of the book — she lived for about 18 months after the book was published–and so her call for a whole different mindset and a different starting point for thinking about pests really didn’t come to pass. And instead what happened was, you know, an attempt to ban one or two chemicals at a time and then they ended up being replaced by other chemicals. And so one of the heartbreaking parts of this new reissue of Silence Spring when I wrote that introduction and was bringing the science up to the present was just to see how far down the wrong path that we’ve come. In some ways, the problem is actually worse than when Carson first explicated it. So, to my mind the quote that stands in the back of the book jacket is really a kind of gloss on her whole project when she says, invoking Robert Frost’s famous poem about two paths diverged in a wood and I took the one less traveled by, she rewrites that and says, we now stand where two roads diverged but, unlike the road in Robert Frost’s familiar poem, they’re not equally fair. The road we have been traveling is deceptively easy, the smooth super highway on which we progress with great speed. But at its end lies disaster. The other fork of the road, the one less traveled by, offers our last, our only chance to reach a destination that assures the preservation of our Earth. And that choice is still before us. And I think that especially as we face climate emergency now and realize that it’s not just the choice to use toxic chemicals or some kind of green sustainable solution, but also the choice to unearth fossil fuels from the bedrock and light them on fire or look elsewhere for energy. These kind of choices are really the choices of our time and determine whether or not we’ll have a future with a human civilization on it and pollinators to provide us food and plankton to provide us oxygen and some diversity. So, I think that her words are just as prescient now as when she wrote them. FR: One of the things I also love about her and something that you point out in the book is how she connects the whole issue of environmentalism with our moral stance toward nature. Her critique of the whole: what must be seen as the total insanity of the idea that we can dominate nature when we are part of it. SS: Yeah, that’s almost become a cliche now to say things like that, but she was the one who first showed us the dark side of attempting to dominate. That it not only is a misuse of power but also in the end is ineffective. You know, it’s tragic in that classic sense that the harder you attempt to do something, the further away your goal becomes, because she was able to explicate that using pesticides simply bred pesticide resistance eventually, and then the next time you had to use even more pesticides to knock back pest outbreaks. So just as microorganisms become resistant to antibiotics when they’re misused, the overuse of pesticides leads to pesticide resistance. And so you end up with a much worse pest problem than you had in the first place, because pests evolve the ability to not be affected by the poisons. In addition, by killing off all the enemies of the pest, suddenly you have secondary outbreaks of organisms that weren’t prolific enough to become pests. But now that you’ve killed off all the praying mantises and the spiders and the birds and the bats and the frogs and everybody else that eats insects, now you have big outbreaks of insects that were formerly not problems at all. So she was very good — I think she was actually a genius — at looking at data and being able to look across the data gap. She would only have a handful of studies kind of under her feet but she was able to see across the far shore to where all this was leading. In other words, she was very good at extrapolating. There’s a lot of kind of talk about her being prescient and almost like a prophet and in my introduction, I kind of rewrite that a little bit. I don’t think we need to invoke paranormal powers. I think she was a very good scientist and was able to look at a few data points and see the larger pattern. She was just so good at that and it came because of her meticulous research across wide bodies of literature, so she was able to intuit that there was a connection between DDT exposure and diabetes by looking at the records of crop dusters, who are obviously exposed as they were up there spraying, and looking at their death rates. And now we know, a half a century later, we have absolute proof for a link between pesticide exposure and diabetes. We know that certain kinds of pesticides have the ability to interfere with hormonal signaling mechanisms, so called endocrine disruption, and there are many outcomes for that. And one of them is insulin dysregulation in the form of diabetes. But she figured that all out just by looking at crop duster records and other records about what was happening to DDT exposed roosters on farms and so on and was able to kind of triangulate and see where this was leading. 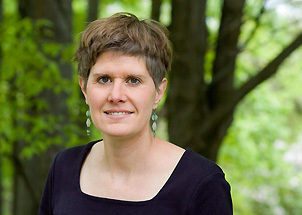 FR: Sandra Steingraber, in this collection of Rachel Carson’s work Silent Spring And Other Writings On The Environment, talk about how Silent Spring got started, because I think it had a tremendous impact on the environmental movement, but the environmental movement also had a tremendous impact on Rachel Carson. SS: Yeah, let me kind of talk my way into it this way by saying that how thrilling it is to have been asked to be the editor for this new collection from Library of America. This isn’t just any re-issue. Library of America is a non-profit publishing house that chooses American writers who are considered iconic American voices. So when they choose a writer it’s almost like canonizing them and or watching an actor receive their star on the Hollywood Walk of Fame. It means they’re considered a voice to be reckoned with. And Library of America makes sure that their books never go out of print. That’s the pledge: that this book now will be in print forever. It will find its way into all the libraries of the United States. And so it’s it’s an amazing moment. And so, as it was reissued, because of the very question you’re asking, which I think a lot of people will be asking about the origins of Silent Spring, in this collection is not just a reissue of the book itself, but much of the correspondence that Carson had going with other scientists and with her beloved Dorothy Freeman as she expressed her fears and felt like she wasn’t the right person to write this book at all. So you see the writer’s mind at work and the scientist’s mind at work as she’s struggling with the very idea of whether or not to take on this project. And I think by reading these letters in the context of seeing the final masterpiece that she created, to my way of thinking makes you realize that she was quite a reluctant author; that she as a scientist was very concerned about the data, but she felt like someone else, not her, who is a more oppositional and confrontational kind of writers should take this on. And so she shopped around the idea, but no one was willing to do it. At the same time, there was a group of women who organized themselves as the Committee Against Mass Poisoning and they were challenging, as activists in the 1950s, the widespread practice of simply spraying pesticides from the air by plane all across the suburbs and farm fields of America — sometimes for very trivial reasons. And birds were dropping dead around people’s bird baths and they were taking action. In fact they were suing and their lawsuit wended its way all the way to the Supreme Court. Along the way, because they had the process of legal discovery, they had unearthed boxes and boxes of data and shook loose data that the government and various unpublished data that nobody else had access to — Carson had her own access right to some some data that was based on field tests that were being done in various parts of the federal government — and so these women really pushed Carson hard and said, look we’ve got these boxes of data, we will share them with you. They really saw her — and I think correctly so — as a kind of Rosa Parks of the movement, like she was the one who could bring attention to this issue because she was a best-selling nature writer and had an audience and had attention in the media. So they saw her as their great messenger. And eventually she agreed that she would take this project on and others. There is an amazing letter in this collection she wrote to Dorothy Friedman, who was her romantic partner and another part of Rachel Carson’s life she felt she had to keep completely hidden and secretive. So there are a number of love letters between them that were actually destroyed but there are a few that remain and some of them are in this collection, but more than just Dorothy and Rachel writing each other as besotted pen pals, Rachel used Dorothy, who shared with Rachel her great love of nature, as a sounding board. She would try out different ideas on Dorothy and in different kind of ways of serving up the science, because if Dorothy could understand it and felt inspired and excited by it, then Dorothy was Rachel’s everyreader. But in addition Dorothy felt very protective of Rachel and was greatly concerned about the kinds of negative attention and attacks that Rachel would receive and in some cases, Dorothy asked Rachel to do some real discernment in whether or not she wanted to take on this project, because Dorothy recognized that Rachel was a very reverential kind of writer and now was going to be critically engaged with Silent Spring. So she’s talking there about the power of the atomic bombs to end the world as we know it and there are other letters in which she’s actually corresponding with some of the leaders, the scientific leaders of the movement against the atomic bomb. There was a project going on, headquartered in St. Louis, to actually collect the baby teeth of children, before and after above-ground atomic bomb blasts. These were baby teeth kids put under their pillow and were collected by parents. And there was a place that parents could send the baby teeth to be measured for radioactivity. And so for the first time, what we saw was that you could detonate a nuclear device three time zones away and then later, you see this increasing radioactivity in children’s teeth, the pathway being as the radioactivity traveled on the prevailing winds, drifted down, deposited on the grass, cows ate the grass, strontium follows calcium into the bones and into milk and children drank the milk; it ended up in their skeletons, including in their teeth. And so that was a shocking idea of the time that the environmental destruction wasn’t just local, but we were all connected across the planet and human beings now had the power to destroy life halfway across the globe by doing something in another place. And so pesticides also could drift for hundreds of miles. They were now showing up in raindrops. They were showing up in breast milk and like atomic fallout, pesticide drift could affect people far from space and time from where they were being used. So Carson saw these connections. But what was interesting to me in reading the letters is to see just how affected she was by the terror and the paranoia of the atomic age and how that led her to see pesticides at a different way. FR: Right, and of course, that unfortunately has been rearing its head again for us in this time where we’ve got climate change, the threat of nuclear war and the threat of the extinction of species. Yeah, that that passage really affected me too because it’s something that I think about all the time: how what kind of hubris that we, as just one species, can undo millions of years of evolution and and foreclose the future for our children is just the most profound evil that I can imagine. So that’s kind of the heart, I think, of Silent Spring and when I read those passages and also go back and forth between the letters and her speeches and all the other writings that we’ve collected here, you can see her mind at work, you can see her coming to terms with these ideas, the grief she feels when she finally opens her eyes to the data and then this attempt to bring the best kind of writing to the data to make us feel inspired to action, rather than paralyzed by grief or guilt or shame at our situation, because that kind of paralysis does no good. And I think her strategy was to find a language beautiful enough to match the beauty of the natural systems that she was writing about, to remind us that these are sacred things and to appeal to our better angels. Reading her letters, you can see almost a dress rehearsal for some of the passages that end up in Silent Spring. I have to say reading them out loud, though, that Silent Spring is rhythmical. It has a meter to it that makes it feel exalted as you read it. And that was very deliberate. There are letters in which Carson writes, where she talks about reading her work out loud, her drafts, and then she would change a two-syllable adjective into a one-syllable adjective in order to straighten out the rhythmical patterns to get the effect that she wanted. So she wrote like a poet and in her letters that she dashed off to her fellow scientists, she doesn’t necessarily. She writes like one scientist to another. It’s a very different kind of writing. And it’s I think it’s fun to see how she kind of toggles back and forth between writing just scientist-to-scientist in this kind of technical jargon. And then seeing her translate this into the most beautiful Shakespearean prose you can imagine in the actual chapters. FR: That’s wonderful. You know in the short time that we have left: I know there was a huge push back against her from the chemical companies and others who at that time were just beginning to capture our public discourse and our governmental agencies, but talk about the positive impact of the book. What do we have now, in a positive way, that we owe to Rachel Carson? SS: Well, I think that Carson really unmasked her enemies and so the courage that she showed at the end of her life remains a model for us, certainly. So let me just kind of explain that a bit after Silent Spring was published, it rocketed to the top of the bestseller list and just stayed there and she received every possible award from scientific societies and literary societies alike. And in the meantime, a very powerful disinformation campaign was launched by the chemical industry, who rightly perceived that Carson was a complete existential threat to to their market share. And they attempted to discredit her; they attempted to discredit the science. They published their own take on things and often they disguised who they were when they did so. The National Academy of Sciences released a report that showed there wasn’t really much of a problem with wildlife and pesticides but it turned out all the authors of that report were not even members of The Academy. They were actually working for the chemical industry and one of them for an agricultural trade group. And she flushed all that out and used the occasion of her awards, where she was required to give acceptance speeches, to unmask them and identify them as who they were so that the public could see who was calling themselves a scientist. Who is representing science? She often asked, “The public wants to know, who speaks for Science and why?” And I think she gave us that ability that, when we hear someone now throw around what sounds like graphs and charts and percentage signs, we need to ask who they are. Is this peer-reviewed science or is this a handful of science-like numbers to minister to some public relations problem. And she was the first to really do that. We received another potent lesson not so long after Silent Spring when the tobacco industry, of course, spent years denying that their products cause lung cancer and “cigarette science” became the shorthand for fake science that serves the interests of corporations. But had Carson not laid that groundwork and not pulled back the curtain on conflicts of interest between industries and scientific societies and their growing financial influence over the direction of research, I think that we wouldn’t have seen so quickly how the tobacco industry operated. And Carson’s analysis is at work again now, as we confront climate deniers, as we see certain think tanks funded by fossil fuel interests who are busy discrediting climate scientists. So it’s the same script that Carson showed us and showed us how it operated, that’s being played out again today, this time with fossil fuels. FR: Now Sandra Steingraber, when this volume came out, Rachel Carson’s Silent Spring And Other Writings On The Environment, a lot of people said “well, what about her writings about the sea and about the ocean? What happened with that?” Well, what is happening with that? And what do you look forward to in the upcoming volumes? SS: Well, I think it’s unfortunate that those who felt that the sea books should be part of this volume didn’t read the note on the text, which clearly says that the Library of America fully intends to bring Carson’s ocean writings, as well. It just that Silent Spring came first and so this volume represents Carson’s oppositional writing. This is her confronting the chemical industry, both with her book Silent Spring and then with all of the the letters, the speeches, the correspondence and articles and op-eds and letters to the editor that she wrote about the environmental problem caused by humans. Carson, of course also has a long, storied life as an ecstatic lyrical nature writer, in which she’s simply describing how life works in the natural world and, in particular, the oceans. And she has these three exquisite books about the sea in which her writer’s eye is almost like a camera that goes under the water and reveals the world below the waves. Remember, the first of these sea books came out in 1941, and this was a time when we didn’t have any visuals for what it looked like down there. There were no Nova specials, no submarine cameras to show us what the deep sea looked like — and so she was able to use language to describe this. And it was so vivid, that these books became bestsellers and people felt that they really knew the oceans. And so her project, her intentions, are different in those books because she didn’t have a theory of social change other than a firmly held belief that, if she could make her readers feel invested in the beauty and awe of the world, that they would have, as she said, not so much a lust for destruction. So that was what she hoped for. With Silent Spring, there’s a real point of departure for her and a change in discourse, where she knew that she needed to confront much more directly and expose those who were causing the problem. And they were not just the chemical industry, but in fact government agencies themselves who were doing mass pesticide spraying. So. some of the very agencies that she worked for and knew very well as a public servant once she worked as a federal scientist, she was going to be revealing. So it was more investigative; it was more an expose. So it makes sense to me that that kind of confrontational biology that she did at the end of her life and all of the writings around that would be gathered together in one volume. And then I just sat down with our editorial team at Library of America and talked with them about the plans for the upcoming sea books. FR: I first met you because of your own work in the tradition of Rachel Carson — your own work of exposing the role of pesticides. You have had cancer, which you’ve linked to your exposure to pesticides. I was diagnosed with breast cancer last year. I was one of those kids who.was sprayed with DDT when I was in airplanes or when the trucks went down the street. What kind of work are you doing now? I do you continue to work on your own writing in this or have you just been devoting yourself to this work with Rachel Carson? SS: Oh, I certainly have a lot of work of my own and I am, like Carson, a slow writer. So, if you look at my list of books, many years typically go past between volumes and I tend not to talk about what I’m working on now because, for all of my scientific training, I’m superstitious and don’t want to jinx things as an author. But I have been certainly focused as a public scientist in the climate change movement for the past ten years or so and, within that larger movement, I kind of occupy the anti-fracking wing of the climate change movement. So I have been looking as a scientist at the data on the risks and harms of fracking for our climate and for public health. I’m interested in writing about the world beneath our feet, in these geological strata where false fossil fuels are trapped, and describing them for my readers. FR: Well, that’s terrific and it’s just been wonderful to talk with you about this collection that you’ve edited and wrote the introduction for: Rachel Carson’s Silent Spring And Other Writings On The Environment and I really look forward to the other books coming out as well. Thank you again so much for talking with us. SS: It’s been a pleasure. It’s a great honor.